The International Society for Computational Biology (ISCB) is a scholarly society for researchers in computational biology and bioinformatics. Founded in 1997, the society's core mission is to contribute to the scientific understanding of living systems through computation. 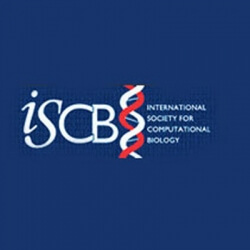 ISCB seeks to communicate the significance of computational biology to the larger scientific community, to governmental organizations, and to the general public; the society serves its members locally, nationally, and internationally; it provides guidance for scientific policies, publications, meetings, and distributes information through multiple platforms. ISCB organizes the Intelligent Systems for Molecular Biology, ISMB, conference every year, a growing number of smaller, more regionally or topically focused annual and bi-annual conferences, and has two official journals: PLoS Computational Biology and Bioinformatics. The society awards two prizes each year, the Overton Prize and the ISCB Senior Scientist Awards, and it inducts Fellows, to honor members that have distinguished themselves through outstanding contributions to the fields of computational biology and bioinformatics.